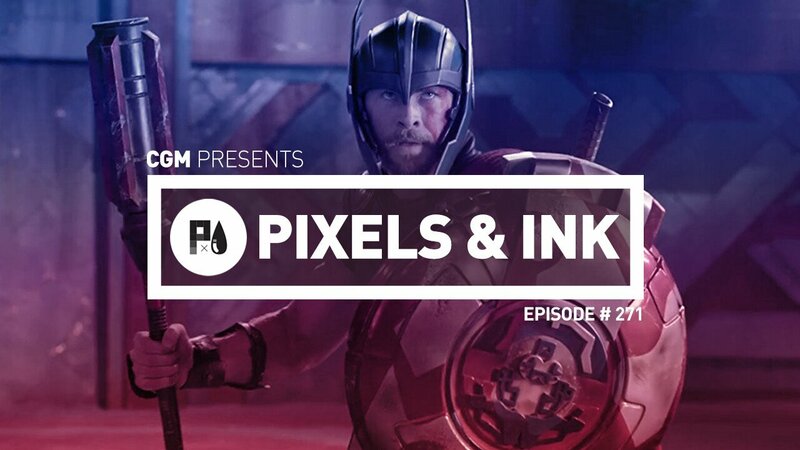 Pixels & Ink – Episode 271: Too Many Teraflops! After a bit of a delay, the Pixels & Ink Podcast team is back in action! This week, Phil Brown, Lisa Mior, and Brendan Frye tackle some big announcements from Paris Games Week and Razer. Naughty Dog stirred up quite a bit of press with the reveal of some in-game footage from the upcoming and highly anticipated The Last of Us 2. Razer introduced their newest member of the Cult of Razer gaming family, the Razer Phone. In Hollywood news, countless studios are reeling from the fallout of sexual assault allegations against powerful moguls starting with Harvey Weinstein. Another blow was struck last week when Star Trek Discovery star, Anthony Rapp, came forward with allegations of assault and harassment against House of Cards star, Kevin Spacey. In reviews, Phil discusses Thor: Ragnarok, The Killing of a Sacred Dear, and Super Mario Odyssey. Lisa tries to get the team on board with an early look at Animal Crossing Pocket Edition. And Finally, Brendan Frye goes through the ins and outs of the 4K madness machine that is the Xbox One X. Tune and don’t miss a minute of the fun! Want to read more about the topics we talked about today? Get the full scoop on Netflix’s response to the Kevin Spacey allegations, our coverage of Paris Games Week including details about the Last of Us 2, and information about the new Razer phone! Check out Phil Brown’s reviews of Thor Ragnarok, The Killing of a Sacred Dear, and Mario Odyssey! While you’re at it, get all the specs and facts from Brendan Frye about the Xbox One X!